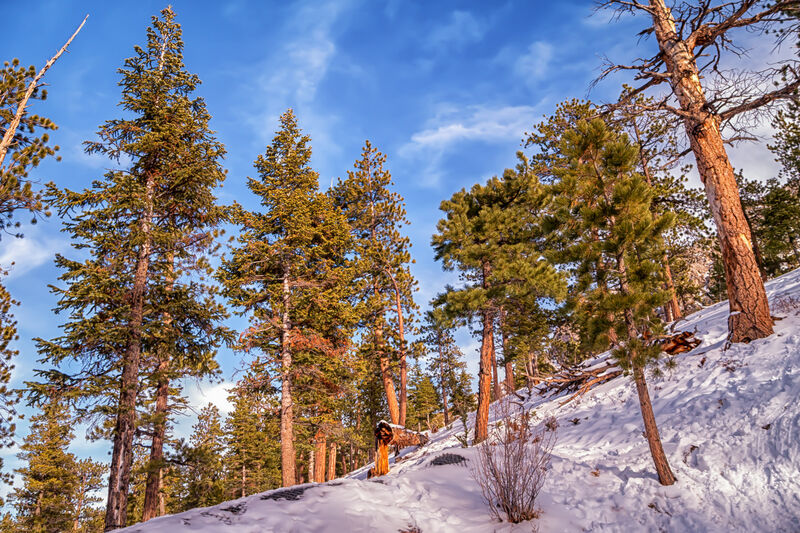 Trees grow in the snowy foothills of Nevada’s Mount Charleston. 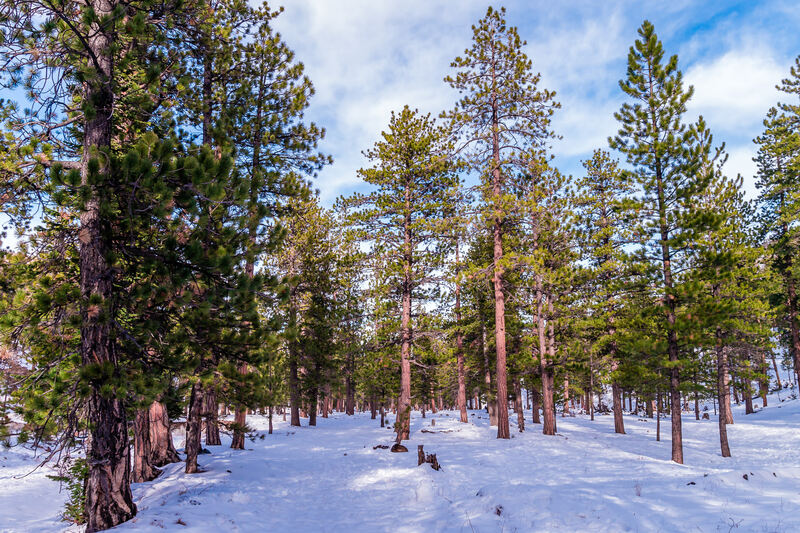 The snow-covered, forested landscape of Nevada’s Mount Charleston in winter. 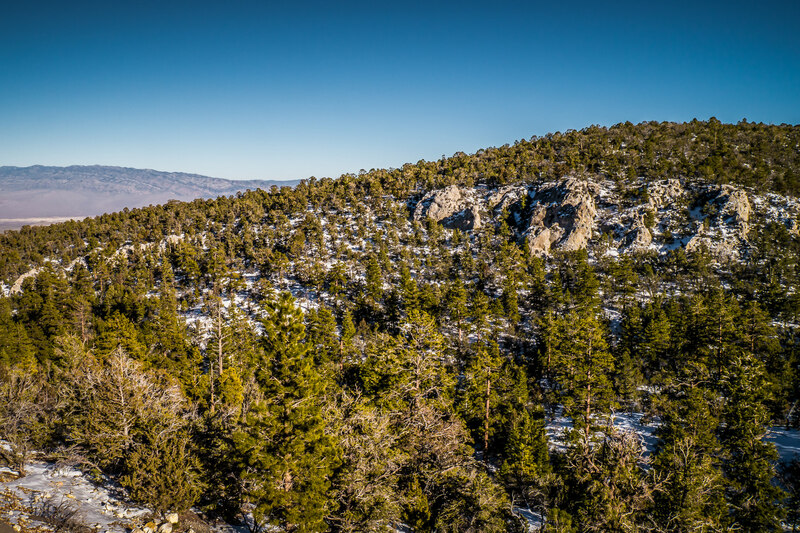 Evergreen trees grow in the wintry foothills of Nevada’s Mount Charleston, near Las Vegas. 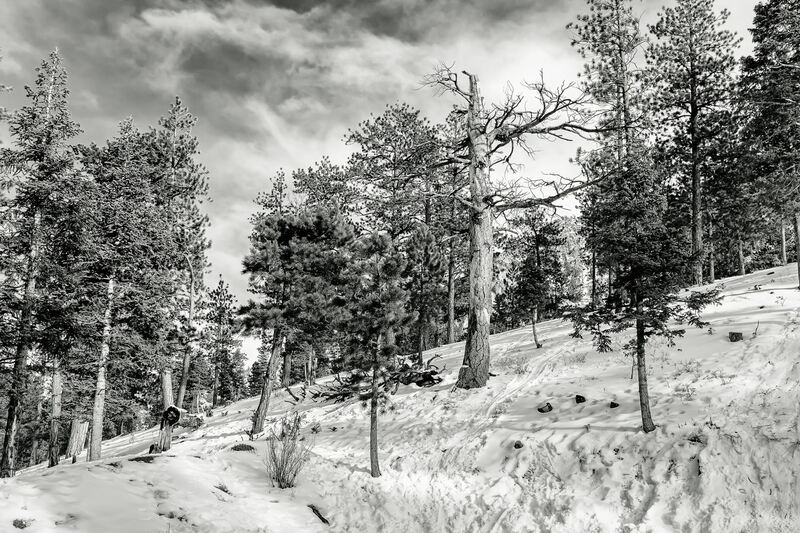 Winter snows cover the ground in the foothills of Nevada’s Mount Charleston. 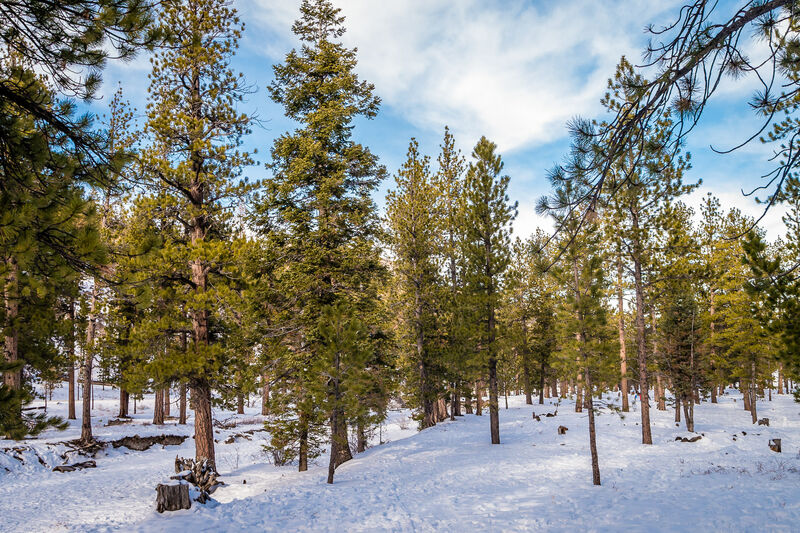 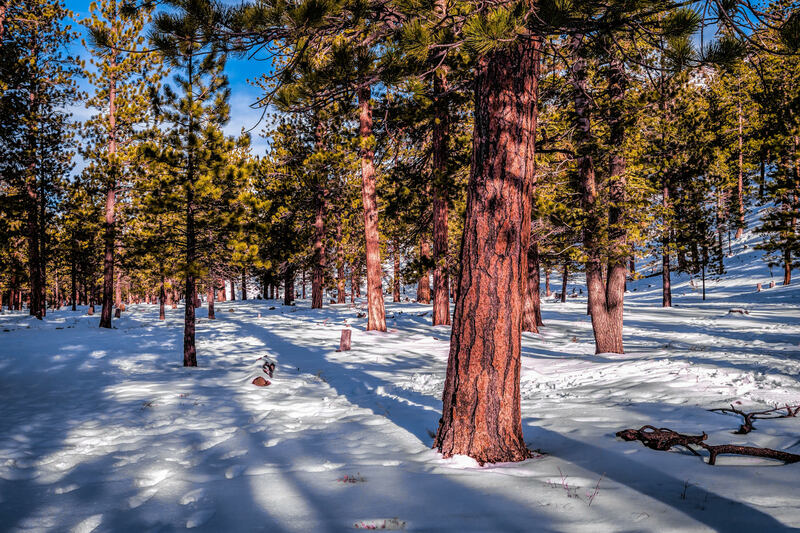 Evergreen pine trees rise from the snow-covered ground in the foothills of Nevada’s Mount Charleston. 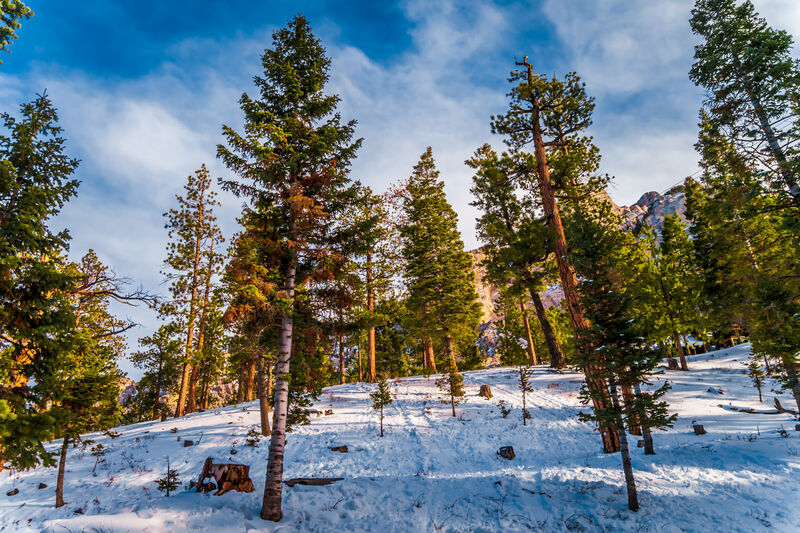 Trees rise from the snow on Nevada’s Mount Charleston. 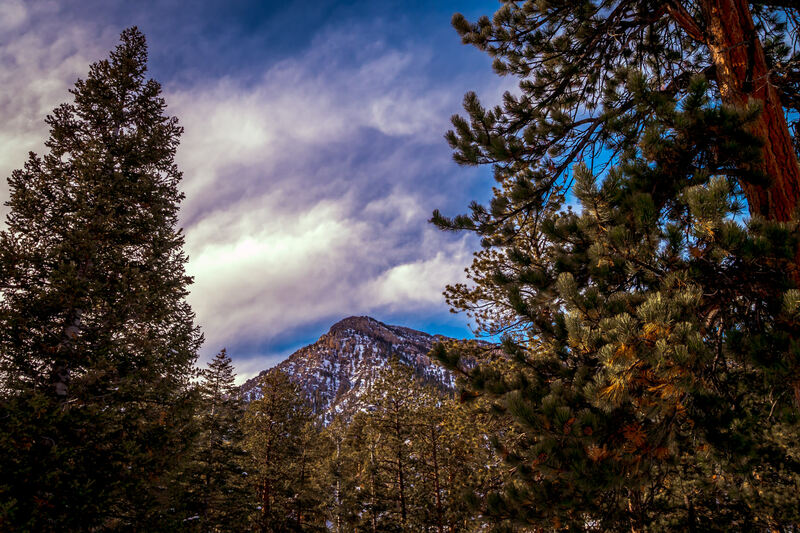 A snow-covered prominence of Nevada’s Mount Charleston rises above the surrounding forest. 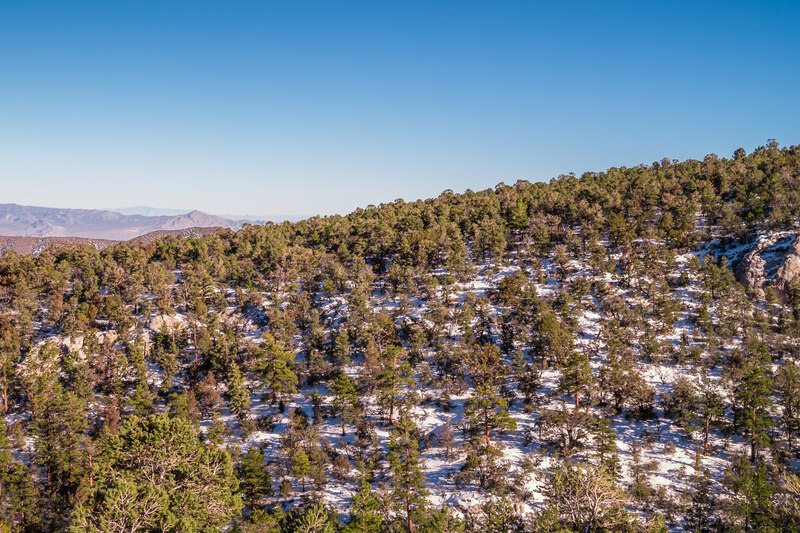 Trees line the snow-covered foothills of Nevada’s Mount Charleston. 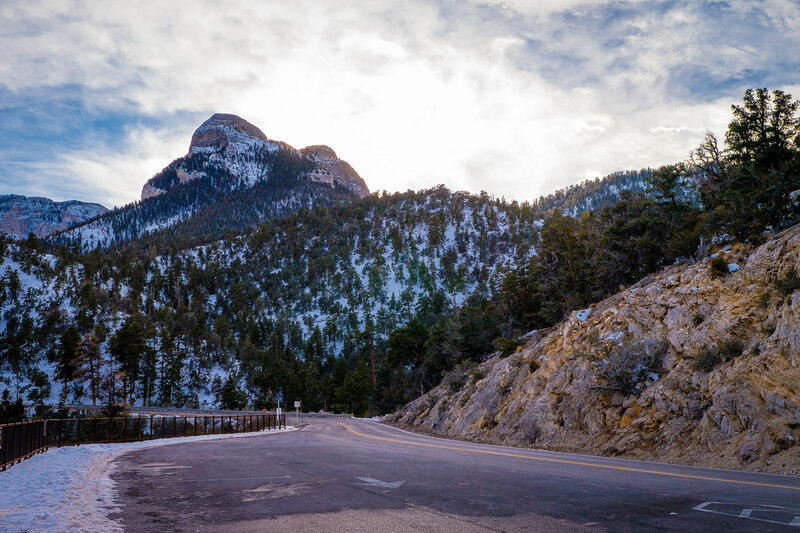 State Route 158 winds its way through snow-covered foothills as the sun begins to set behind Nevada’s Mount Charleston.